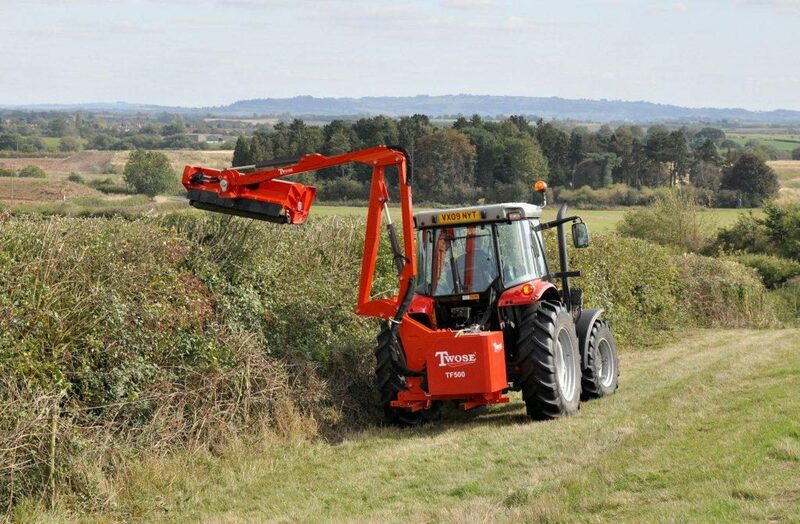 Twose of Tiverton, manufacturers of Hedgecutters, Rollers, Yardscrapers and Front Presses will introduce their new 2014 Red range of Hedgecutters at the Farmec Ireland stand at the National Ploughing Championships this year. Twose Hedgecutters are manufactured at the groups’ Ludlow factory in Shropshire, England. This manufacturing plant has a long and successful history of producing some of the world’s premier range of hedgecutter brands including the Twose range. 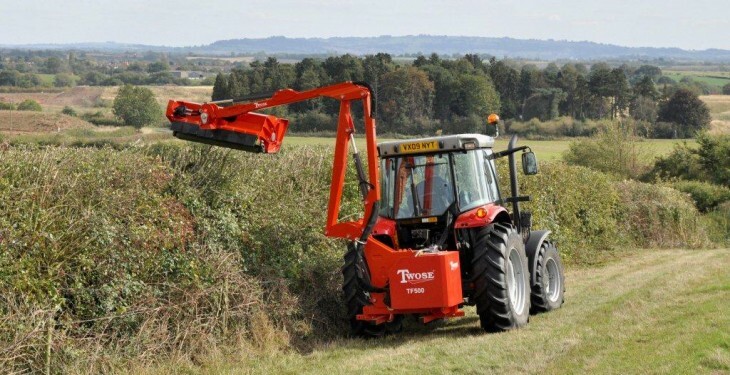 The full range of Twose Hedgecutters are three point linkage mounted which facilitates easy attachment to any standard tractor and easy transfer between tractors. The drive line is contained within the width of the skid for a cleaner cut and better manoeuvrability and features a twin pulley belt drive providing superior power and protection. Hoses are contained inside the boom arms which protects the motor and pipes from damage. The Twose range of hedgecutters have genuine reach measurements from 4.8m (15ft9in) to 6.25m (20ft6in) depending on model. Low pressure oil over oil controls are available which provides superior controllability along with smooth and supple action helping eliminate operator fatigue. These controls are maintenance free and very reliable. The really heavy duty flail head has a double skinned construction which gives added strength and protects appearance. Wear skids and front and rear stone guards come as standard. Also the hedgecutters have slimline tank design, cast iron pumps and motor and a wide model range to suit both the farmer and contractor. These machines are designed and built to cope with the tough conditions farmers and contractors have to cope with in the regular course of their work and are available through a network of authorised trained and experienced dealers.